China issued its strongest public statement of concern yet Thursday against North Korea over a possible long-range missile launch, while Pyongyang warned of clashes in the skies as it accused U.S. spy planes of repeated illegal intrusions. "We are very concerned about the current situation," Jiang Yu, a Chinese Foreign Ministry spokeswoman, said at a regular briefing in Beijing. "We hope all parties can do more in the interest of regional peace and stability." Jiang said China would also "continue to make constructive efforts." U.S. President George W. Bush had praised China on Wednesday for "taking responsibility in dealing with North Korea." 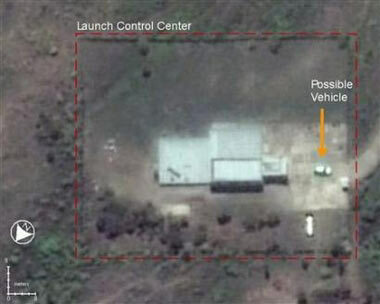 Worries over a potential North Korean launch have grown in recent weeks after reports of activity at the North's launch site on its northeastern coast where U.S. officials say a Taepodong-2 missile -- believed capable of reaching parts of the United States -- is possibly being fueled. The North has also this week asserted its right to launch a satellite, which it claimed to do after its last long-range launch in August 1998. A North Korean diplomat said in reported comments Wednesday that the country wanted to engage in talks with the U.S. on its concerns over a possible missile test. The U.S. turned down the plea for a direct meeting, and instead called Wednesday on the North to return to six-nation nuclear talks, which also include China, Japan, Russia and South Korea. The North has boycotted those talks since November in anger over a U.S. crackdown on its alleged illicit financial activity.